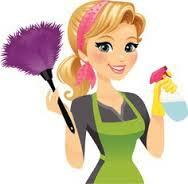 Maid in Hale is a new Commercial & Domestic Cleaning business based in Hale, Cheshire. We offer full house cleans, end of tenancy cleans, deep cleans, weekly cleans, monthly cleans, one-off or more permanent cleans if you require. We also offer an ironing service, this can be done at the comfort of your own home or being picked up and delivered to your home or place of work at your convenience by one of our lovely staff members. If you would like a quote, please give us a call and our friendly Manager will visit you at home and give you a no obligation quote. You won't be disappointed with our great rates and quality of work.